Our mission is to develop strategies to promote and improve the health and wellness of families, caregivers, and friends affected by disabilities through an array of events aimed at mental, physical, and emotional health and well-being and self-care. Celina is a startup nonprofit organization that works to promote the health and wellness of individuals living with (individuals with) disabilities. We do this through community outreach, events, promotion of various resources and providing assistance and support to families of individuals with disabilities. 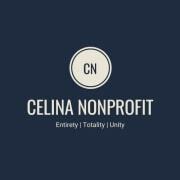 Would you recommend Celina Nonprofit?